There is a new trend alert in technology market. The trend of wearable devices! Many big names in technology like Google, Apple are bringing a boom in the market of wearable technology. The wearable tech products that are already making hush-hush in the market and will continue to grow as future of wearables, are smartwatches, activity trackers, smartglasses and clothings with embedded sensors. The combination of IoT and wearables will revolutionize the consumer and enterprise markets with unprecedented growth. At the Consumer Electronics Show 2016, wearable devices took off the show and dominated the scene with fitness trackers, smartwatches, virtual reality and augmented reality headsets (also known as smartglasses) and sensors. As per the report issued by firm ‘Research and Markets’, the Global Wearable Technology Market is assured to grow in next 5 years with CAGR of around 18.2% to attain approximately $33.4 billion by 2020. As per the market forecast from IDTechEx, “the market for wearable technology will reach $70 billion by 2025.” The wearable electronics business has already geared up to grow, the dominating sector will continue to remain the healthcare sector. It has most of the big names like Apple, Adidas, Accenture, Samsung, Roche, Fujitsu, Reebok, Nike are gearing up for most promising developments in wearable electronics. Activity trackers has already taken the market on storm. Fitbit is the leading name in the activity tracker brand. Fitbit Flex is its wrist band that tracks how many steps user takes, or how much distance is travelled, how many calories are burned, measures sleep cycles, etc. and transfers this info on user’s smartphone. Many of fitness wearables, activity trackers and medical wearables work on the similar technology but each may serve a different purpose. For e.g. medical wearables can be used to monitor patients post-hospitalization, tracking the movements of elders remotely, allowing patients to send alarms and info wirelessly to doctors/caregivers that may include ECG readings, glucose levels, blood pressure, etc. As per the present market scenario for activity trackers and fitness wearables, many companies are already giving a tough competition. The big names include Xiaomi, Garmin that are selling fairly in some countries. Smartwatches are getting adequate attention in the present market. The success of Apple watches can be attributed to its innovative design, effective branding and tight product integration with its best-selling product – iPhone. Similarly, Samsung also got a good start with its own smart watches. The market for Android wear smartwatches, promoted by Google, looks bit fragmented as Samsung and LG is focusing on developing their own operating systems for smartwatch, which will have a direct competition with Android smartwatch. Explore our earlier post on wearable smart watch apps. Is wearable clothing an answer? It is being anticipated by experts that probably wrist cannot be the best place for placing sensors as activity tracking may not be done at its best by all those sensors. To make wearables truly wearable we need to start looking forward for other wearable options that would allow full efficient tracking by sensors. Already the idea of smart clothing is floating around since a year and big names like Samsung, Google, Hexo Skin and Under Armour have started exploring possibilities to make your clothes as smart as your phone. Imagine that your pants, shirts, shoes or socks do all this tracking for you excluding the need to wear accessories that you don’t wear normally. As you will use clothings all the time, it will be easier to keep tabs on overall wellness. Billie Whitehouse of Wearable Experiments introduced yoga tights that are equipped with wireless sensors that can detect movements and offer coaching through an app. Sri Lanka’s MAS worked on OMSignal sports bra which debuted as world’s first smart bra. It works same as OMSignal shirts that detects range of biometrics that would improve wearer’s fitness performance. Other notable wearable is running shoes by Under Armour, which tracks the performance without using a phone. There are also smart socks introduced by Sensoria Fitness and a fitness-tracking neckpiece/necklace developed by Swarovski. The major challenge here is to convince consumers to adopt wearable tech-devices which can be overcome soon, when motivation will be there. The best motivation will come ahead when change happens in your own life it becomes addictive. At Krify, we have enthusiastic and experienced team of app developers that specifically focus on building apps for wearable devices. Our finest designers and developers have been groomed for wearable application development. 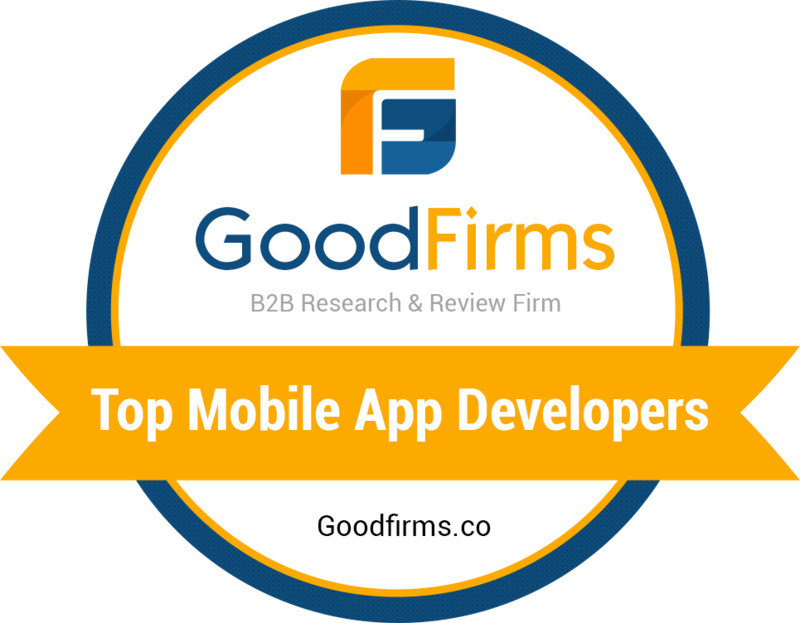 We continue to pioneer in best in class mobile app development. We believe in serving entrepreneurs with world-class app building experiences for wearable devices and mobiles, whether it’s a large enterprise or start-up. Contact us to hire our professional app builders for your need of customized mobile application or wearable device application.